Technology and fashion re-team to bring new luxury bands to the new swim-proofing, GPS, new bands, and more with Apple Watch Hermès Series 2. 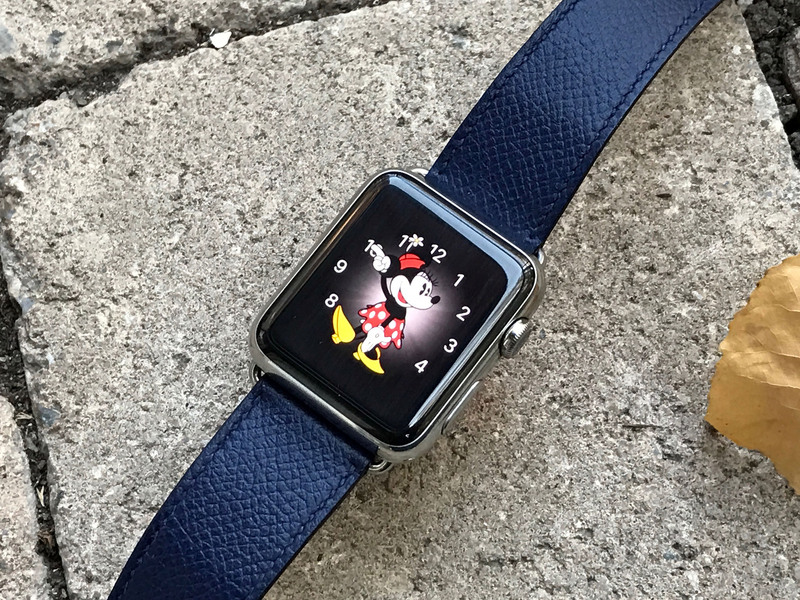 Apple Watch Hermès was announced in September of 2015, roughly six months after the original collections first shipped. An historic partnership, it brought together and perfectly balanced the best of Apple's advanced mobile technologies and Hermès' classic leatherwork. For me, it was an even better representation of high-end silicon-meets-fashion than the original Edition. Now, Apple and Hermès have announced the next generation of stainless steel and leather: Series 2. With all the new features of Apple Watch Series 2, and Hermès bands and colors old and new, it raises an interesting question: Will the 2017 collection attract even more people to the brands, and will it entice anyone already invested in them to upgrade? Apple Watch Hermès Series 2 is exactly what the name implies — a stainless steel Apple Watch Series 2 with the Hermès branding on the back, paired with distinct Hermès bands in the box, and with a unique Hermès watch face all its own. In other words Apple Watch Hermès has also gotten the new, dual-core Apple S2 system-in-package (SIP) with built-in GPS inside, which means it's fast compared to the previous generation and can do route tracking even if you don't take your iPhone with you walking, running, wheeling, or swimming. Swimming because Series 2 also includes better water resistance so you can wear it for workouts — or recreation! — in pools and in open water. It'll even grab GPS when your wrist breaks the surface, so it can track your route for everything from laps to mapping the coast. And the screen has the same double brightness, so you can see everything more clearly, even in the sun. That includes the new orange color option to go along with the typeface and style options for the Hermès face. Apple Watch Hermès Series 2, like the original, contains a collection of case and band pairings. My personal favorite from the original series, the 42mm cuff, has been retired (at least for now) but a 38mm cuff option is now available, as is the my new favorite for Series 2, the deployment buckle. The double buckle cuff looks complex to my eyes. I'm not sure if it's lighter or fancier than the standard cuff, but it seems fussier. The tapering where it joins the watch case also enhances the thinness of the overall look. The pairing is only available in etoupe swift, which is a beige color. Separately, you can also get it in rose jaipur, which is a red, or bleu agate, which is a deep blue. Opinions will vary, of course, which is why it's great to have the variety. On the outside it looks just like a single tour. Inside, however, it houses an seriously clever, classic watch band mechanism that folds over and snaps shut, and springs open again at the press of the matched side buttons. Hermès and Apple have made this version incredibly flat and incredibly comfortable. It's like the metal link bracelets that use similar deployments to slip on or off, but here it's designed to spare the leather the excessive wear of being threaded through the buckle every day and night. You simply clasp it closed, tuck the strap, and go. Speaking of tucking straps, that's the one thing I hope Apple and Hermès work on improving for the next iteration. While the stitching and durability of the straps themselves are absolutely first class, the thin loops aren't similarly stitched and have a tendency to separate. AppleCare will replace them if they actually split, of course, but it's something where a thread of prevention would save a world of support. The single tour deployment isn't available separately or in any other colors, at least for now. So, if you want it, you have to get it in the pairing. New for Series 2, Apple and Hermès are now including a second band in the box — orange sport. It's classic Hermès orange, of course, and in the exact same style as Apple's original sport bands. It's a great addition, and one in keeping with Series 2's focus on fitness and swim-proofing: When you want to workout or get wet, you use the terrific band swap mechanism to slide out the leather and slide in the fluoroelastomer. I've been wearing the single tour deployment for a couple of weeks now and I absolutely adore it. I've also been swapping in the sport band for workout and for a couple of hikes in the snow – and the inevitable snowball fights and snow angels that've followed — and it's worked perfectly. I still prefer the woven nylon for workouts, since it breathes better for me, but who am I to look a gift band in its perfectly matched buckle? It's meant for people who want to upgrade from the original Apple Watch Hermès because the new speed, GPS, and brightness features are compelling, but more so for people who've been waiting for those features to come to Apple Watch and who want the Hermès version. I'm one of the former. I bought the original Apple Watch Hermès — the one with the cuff — the moment I chanced upon one at Apple 5th Avenue, and I ordered the Series 2 Apple Watch Hermès — the one with the single tour deployment buckle — the moment I caught it online. Apple Watch Series 2 is Apple Watch Series 2. It's notification bliss, payment nirvana, and fitness motivation wrapped in a tiny metal capsule, and I've worn both the regular version and the Nike+ version for several weeks each. But the Hermès bands are something else entirely. It's expensive, especially as an upgrade, but it's also the only piece of "jewelry" I wear on a regular basis. It gives me the best of both worlds, old and new. Given the price point, and that you can now get into Apple Watch Series 1 for just $269, the Apple Watch Hermès series 2 definitely isn't for everyone, but for those who similarly want both, Apple and Hermès have made a combination that's pure magic.